"I Love You to Love Me"
Fat dutch braids wrapped into a bun in the back, light wash denim, and beautiful Rocksbox jewelry finished this super casual everyday look. I was at the school most of he morning and afternoon this day then took the kids to meet the hubby for dinner and a movie. 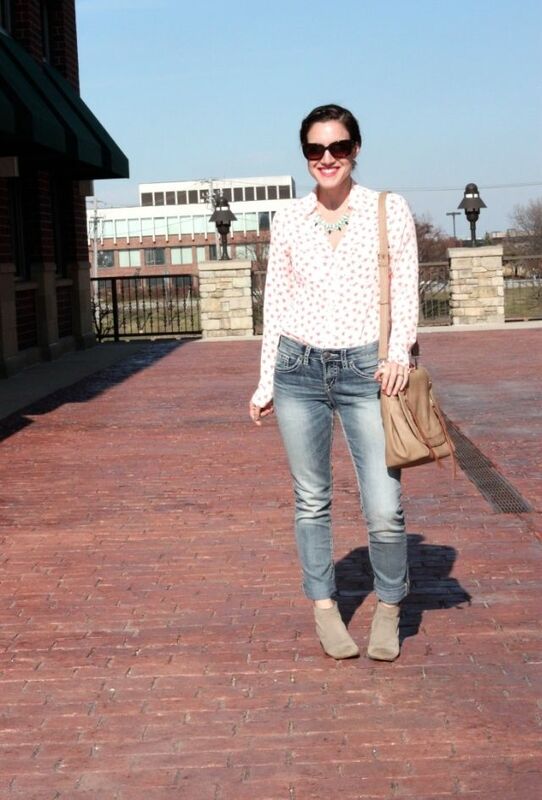 Jeans and a cute blouse are perfect everyday spring wear, no? 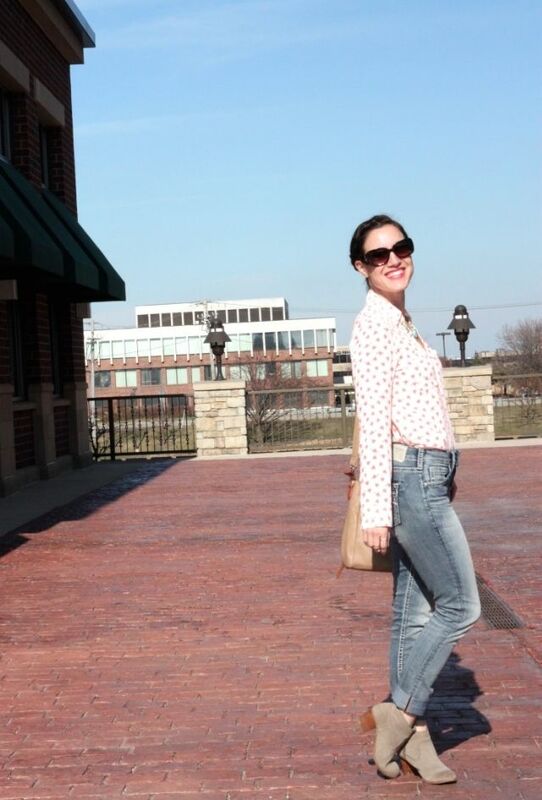 What is your go-to outfit for this early Spring weather? I'm so happy I don't have to wear a jacket everyday anymore. Plus, I've even busted out shorts twice so far! Let's chat Spring fashion below in the comments section!